Season, day, multi-day, lifetime and dog passes are all found here. Kids 17 and under ski free everyday! The grooming report is updated daily during the winter. You can access the grooming report via this website, by downloading our free Methow Trails smartphone grooming app for mobile devices and the iPad. The Methow Valley’s skiing, scenery, and trails are world class and our extensive trail system provides for 120 miles (200+ kilometers) of skiing in peaceful, freshly groomed and uncrowded conditions. 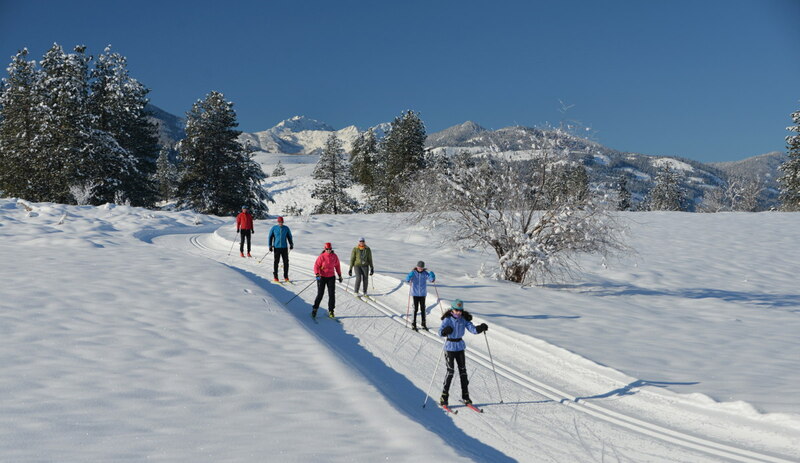 The Nordic ski trail system is divided into four areas, all connected by the Methow Community Trail, which includes a suspension bridge crossing the Methow River, trailheads, and lodges along the way. Just a few tips and techniques can take you to a whole new level of skiing! The Methow Valley is a great place to learn how to cross-country ski or build on the skills you already have. The Methow Valley Ski School and the Sun Mountain Ski School offer skate and classic lessons for all ages and abilities with friendly, PSIA-certified instructors. Choose from group lessons (offered daily), or a private lesson for you or your group – you get to pick the time, place and instructor. Fat bikes on selected ski trails in the Valley! Fat bikes are specially made bicycles that accommodate ultra-wide tires that can be run at very low pressure. The combination of very wide tires and less than ten pounds of pressure allows fat bikes to roll over soft, slippery surfaces like snow. Give it a try! The Methow Valley has endless snowshoe opportunities! Methow Trails hosts family-friendly snowshoe tours every Saturday throughout the winter. Local volunteers lead tours that focus on winter ecology, wildlife and tracks, snow science and more. 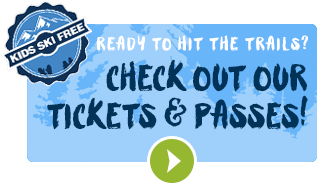 A ski trail pass or snowshoe trail pass ($5) is required for each person. Kids can learn to cross-country ski almost as soon as they can walk. With the right equipment and a little patience, your whole family can enjoy a day in the tracks together. Methow Trails makes it a little easier for kids to cross-country ski by offering FREE skiing for all kids 17 and under! Don't pass up the chance to introduce this sport to your children. Methow Trails proudly allows dogs on selected trails in the Methow Valley. It is a program that we have run for years and, despite a dog’s inability to talk, anyone who has ever seen a dog out on the ski trails can’t deny the joy it brings to these animals. It is contagious. Whether you have a long-term physical limitation or are recovering from a knee or hip replacement, adaptive nordic skiing can provide you with a great way to get out and enjoy the groomed ski trails with friends and family.